Let us know your needs and we will offer you the solution that best fits your business. 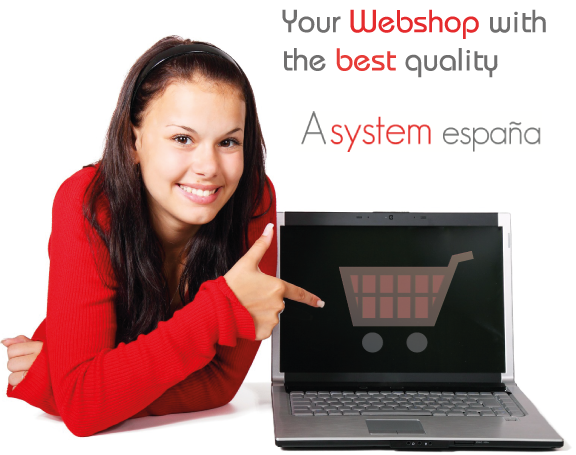 We create online stores based on Prestashop, osCommerce, nopCommerce or fully customized. We work both with prior market analysis and designing, portal development, payment modules and marketing campaigns after launching the webshop. Analysis and technical design of the virtual store, selecting the technology that best suits your needs: Prestashop, osCommerce, nopCommerce or custom webshops. Store Development: shopping cart, order management, customer management, product management, transport management. SEO and SEM adapted to the portal. Newsletters and Mailing sector companies: We have a database of 300,000 companies. We guaranteed the delivery of all our services and you can always ask for a free quote without any compromises.